Spring is finally here after winter gave us a rough ride which seemed to mirror the political climate around those affected by as well as those advocating for appropriate and effective pain relief. One such person of strength, fortitude and high ethical standards is someone most dear to many of us in the pain advocacy world. TPC took notice and felt disgust when this person of leadership was unrightfully attacked by unjust rhetoric from others as we have seen happen to other leaders in the field of pain management and/or pain advocacy. Our pride of her work and her commitment to those living in pain is un-wavered. We stand by her wholeheartedly. Who are we honoring this month, you may wonder? We honor Myra Christopher, a true warrior for bioethics and humane pain care for all. To get a sense of her passion, all you need to do is read some of her articles. To get a sense of her leadership, just peruse the websites for the Center for Practical Bioethics and the PAINS Initiative. To get a sense of her wisdom, just spend a few moments talking with her. She is a treasure in so many ways. Her accomplishments speak volumes about her contributions that benefit so many in a multitude of ways—an unsung hero indeed. TPC is proud to recognize and stand by Myra Christopher as our TPC Hero for March 2016. To open the 2016 New Year on a note of hopefulness to all who live with pain, TPC would like to recognize the outstanding efforts of an inspiring physician, Forest S. Tennant Jr. MD. Dr. Tennant has decades of experience with managing pain as well as substance use disorder. As a Vietnam veteran physician, he has a clear understanding of the pitfalls of traumatic injury that results in a lifetime of pain that often fails to respond to typical pain treatment as well as the pitfalls of battling substance use disorder which he witnessed first-hand during his military career. He has dedicated his career of over forty years to compassionate care of his fellow man, challenged conventional thinking with his writings along with demonstrating tireless advocacy for his patients so they receive better care which allows them and their families a chance in living a worthwhile life. Tennant has earned the notable reputation as one who is willing to accept the difficult, hard-to-treat patient that others have given up on. This speaks loudly to his commitment and his heroism, especially during these trying times for those in need. Our hats are off to you, Dr. Tennant. TPC is proud to recognize Forest Tennant MD as a TPC Hero for the month of January 2016. We look forward to his continued work in support of people living with pain. Together, CPATF, made the commitment to work collectively and promote, support as well as monitor the implementation of the National Pain Strategy (NPS). They have remained true to their course and continue to be vigilant, so that NPS is not just a forgotten document. TPC is proud to be one of their members. 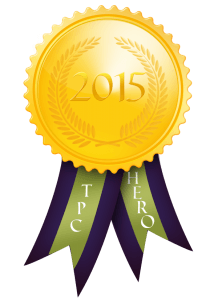 TPC is proud to recognize all the members of the Consumer Pain Advocacy Task Force as our TPC Heroes for December 2015. November is the time of thanks and appreciation of others—our veterans and our family & friends. This month, TPC has chosen two veteran advocates in our pain world, one who has lived with pain for decades and another who is a pain management nurse—Don Freeman and Peggy Flood. Together, they have joined forces to educate the senior population who reside in Massachusetts by promoting the Stanford Chronic Pain Self-Management Program (CPSMP) as master trainers. Freeman is a former chief financial officer for a hospital system who was forced to leave his position due to severe, debilitating pain that resulted from long-term exposure of steroid therapy for chron’s disease. He has spent many years as a pain warrior seeking an effective pain treatment plan so he could reclaim his life. He discovered that he was most successful once he found a plan which was multi-modality, integrative care in nature and where he took a lead using self-management techniques. Flood is a pain management nurse (now retired) who has dedicated her career to help improve how others are cared for who live with pain—not only in a hospital setting, but within her state as chair of the Education Council for the Massachusetts Pain Initiative (MassPI). MassPI recently endorsed the CPSMP. Peggy is a member of the American Society for Pain Management Nursing. TPC is proud to recognize Don Freeman and Peggy Flood as our TPC Heroes for November 2015. They walk the talk. As Autumn begins to unfold its beauty of colors and seasonal transition, it is an opportunity to reflect on how others promote promise and hope in the pain field. One unsung hero who this promise and hope is Joanna Katzman MD. Dr. Katzman is an Associate Professor in Neurology at the University of New Mexico (UNM), the Director of the UNM Interdisciplinary Pain Center and directs Project ECHO (UNM). UNM Project ECHO Chronic Pain and Headache Program is a unique clinic which uses the principles of telemedicine to teach primary care providers how provide interdisciplinary, best practice in the care people living with pain. She has tirelessly assisted the Department of Defense, the Veterans’ Administration, the Indian Health Service, many academic medical centers as well as other countries so they may replicate the principles and process of Project ECHO. Katzman specializes in the treatment of headache, fibromyalgia as well as spasticity and neuropathic pain disorders from stroke, traumatic brain injury, spinal cord injury and Multiple Sclerosis (MS) to name a few. She has also has been instrumental in developing state legislation related to pain and addiction continuing education for all clinicians with an active DEA license in New Mexico. As her part, she has trained over 2,000 New Mexico clinicians on “Pain and Addiction” in just 1.5 years. Additionally, Dr. Katzman serves as Vice-President to the Board of Directors for the American Academy of Pain Management. She is a champion for integrative, patient-centered, relationship based pain care. TPC is proud to recognize Joanna Katzman MD as our TPC Hero for the month of October 2015. In honor of Pain Awareness Month 2015, TPC has chosen to honor a very special husband and wife team, Gwenn Herman & Malcolm Herman. Gwenn is a licensed master’s prepared counselor in the State of Maryland in the field of social work. She specializes in the treatment, diagnosis, prevention, evaluation, training, supervision and consultation in the fields of addiction, alcohol and substance abuse, stress, emotional problems, chronic pain, physical and sexual abuse and dual diagnosis. She is the founder and executive director of Pain Connection, Chronic Pain Outreach Center, a 501(c)(3) not-for-profit human service agency that aims to improve the quality of life of those suffering from chronic pain. Gwenn lives with chronic pain, as a result of an automobile accident in the 1990’s. She models how to take control of her own pain every day. Malcolm is a personal injury attorney in Maryland with over 40 years of experience which includes representing people with chronic pain. He serves as legal advisor and board officer for Pain Connection. He has been a caregiver extraordinaire for his spouse who lives with daily pain. Together, they are a force to be reckoned with; they are veteran pain advocates and stellar individuals who walk the talk. TPC is proud to recognize Gwenn & Malcolm Herman, both as our TPC Hero for September Pain Awareness Month 2015. The hot summer month of August has arrived; the beginning of the new school year is approaching fast and many are trying to get away for a relaxed, fun-filled vacation. That is not an easy endeavor for anyone living with pain. No one knows this better than our August 2015 TPC Hero. This month we are honoring one of our inaugural board officers, Meg Harmon, BS, who served as Board Treasurer from 2012-2013. Meg served on the founding board for the Women With Pain Coalition and was instrumental its transition into The Pain Community. She has previously volunteered with the Ehlers-Danlos National Foundation and the Center for Attitudinal Healing. Harmon has extensive experience in training others to work with individuals with illness and loss. With her degree in psychology with specialization on dream and sleep research, she has provided emotional and advocacy support to individuals with life-threatening chronic disease and their caregivers. She has coached others to learn how to live a quality of life in spite of ongoing pain and disability. Meg models to others the possibilities of what determination, knowledge and creating an effective, individualized pain care plan can do—she too lives with EDS and pain every day. TPC is proud to recognize Meg Harmon as TPC’s Hero for the month of August 2015. She walks the talk. TPC is proud to recognize Fred Wells Brason II along with Project Lazarus and CCNC Chronic Pain Initiative as our TPC Hero for the month of July 2015. The heat of summer is soon to arrive. No matter the season, the outstanding efforts of pain advocates throughout this nation warm our souls, continue to inspire us and bring us hope. It is fitting that we honor in the month of June 2015, a pain management practice that is leading the way by delivering a best practice of patient-centered, multi-modal treatment with a focus on wellness. This style of pain care is one the TPC applauds loudly and vigorously. TPC wishes to honor the Integrative Pain Center of Arizona. Led by, Bennet E. Davis, MD who is board-certified in anesthesiology and pain medicine, this practice team offers comprehensive services and treatments for the full range of pain types while using a personalized approach to help ease pain, reduce pain-related disability, and improving quality of life. They honor and value the important role of open communication and collaboration among the members of the pain care team, which includes the person with pain as a key player. This says it all: “We work with you to define the most accurate diagnosis, to create a treatment plan that integrates whatever resources may help, to empower you to ease pain and if possible to return to your lifestyle – and to help you stay that way!” TPC is proud to recognize The Integrative Pain Center of Arizona as TPC’s Hero for the month of June 2015. May brings us of the feelings of hope & restoration: Mother’s Day, warm weather, spring flowers and nurturing rains. It is fitting that TPC recognizes the tireless efforts of an outstanding pain advocate. This is a person who inspired many pain management nurses with her early leadership in pain policy & media advocacy while she was President for the American Society for Pain Management Nursing (ASPMN) in 1998 and continues on to this day. She is a pain management nurse extraordinaire who has made a critical a difference for people living with pain early in her career through clinical practice as well as her tenure within the pharmaceutical industry. TPC wishes to honor Pamela Bennett RN, BSN, CCE as a pain management nurse champion and an influential leader in the pain community. Ms. Bennett is the Executive Director (ED) of Patient & Professional Relations at Purdue Pharma LP and past Healthcare Alliance ED where she provides strategic direction and management oversight to that department which is responsible for relationships with national healthcare professional associations, patient advocacy and community partnership organizations, and key opinion leaders. Pam has dedicated her focus on promoting pain advocacy both nationally and internationally. Early in her corporate career, she worked closely with other to address access to pain care as well as curbing prescription drug abuse. She continues that call for balance this very day. Ms. Bennett has worked tireless with people living with pain as well as healthcare providers who care for them. She supports best clinical practice along with professional and patient advocacy organizations whose missions help improve the lives of those living with pain. She is one of TPC’s original members. Her work has been honored by ASPMN and the American Pain Society among others. TPC is proud to recognize Pamela Bennett RN, BSN, CCE as a TPC Hero for the month of May 2015. April is finally here, warmer weather, singing birds, greening grass and early flowers are beginning to appear in the northern tier of our nation. It is the time of renewal and activity. TPC wishes to honor one of our federal organizations, the Department of Health and Human Services (HHS) for their release of the National Pain Strategy (NPS) draft for public review and comment. This opportunity alone provides hope and the chance for many feel the sense of renewal in their lives. This is an important time for people who live with pain, those who have a loved one with pain or provide care for another with pain. The National Pain Strategy (NPS) is the very first national strategic plan to advance pain research, education and treatment. It is open for electronic comment until May 20, 2015. It has been close to five years after the groundbreaking release of Relieving Pain in America: A Blueprint for Transforming Prevention, Care, Education, and Research by the Institute of Medicine (IOM), the first federal document that exposes the existing weaknesses that interferes with effective pain care in the U.S. NPS is the next critical step to improving pain care in America. TPC is proud to recognize Health and Human Services (HHS) as TPC’s Hero for the month of April 2015. Take the time to review the report and provide your comment under each objective as you see fit. This is your time to lend your voice and add your opinion for the record. Instructions on how to submit your comments can be found here. As we prepare to savor the fresh air of spring, TPC would like to recognize the outstanding efforts of Jeffrey Fudin PharmD, who is a pain champion extraordinaire. Known to many through his website Paindr.com, he has dedicated his career influencing and upgrading healthcare professional education. He is an active public speaker, writer, and researcher on pain management issues. He contributes his unique pharmacist perspective as a freelance blogger with Pharmacy Times as well as a regular contributor to paindr.com. Fudin provides a refreshingly tempered and rational perspective on pain care issues through social media. Dr. Fudin practices as a Clinical Pharmacy Specialist and Director of PGY-2 Pharmacy Pain Residency Programs at the Stratton Veterans Administration Medical Center in Albany NY. He is an Adjunct Associate Professor of Pharmacy Practice at Western New England University College of Pharmacy; Adjunct Assistant Professor of Pharmacy Practice the University of Connecticut School of Pharmacy, and has several other academic affiliations including and the University at Buffalo School of Pharmacy and Pharmaceutical Sciences. He has developed a valuable expert testimony and witness service comprised of a large nationwide network of highly trained pain specialists with a post doctorate PharmD training who can speak about pain medication therapy, how they work on pain, how they interact in the body and the extent of how the body handles these substances. He is also one of the authors of the Opioid Calculator, a useful tool for prescribers to aid in calculating opioid doses. Fudin is a Diplomate to the American Academy of Pain Management, a Fellow of the American College of Clinical Pharmacy, a founder/chairman of Professionals for Rational Opioid Monitoring & Pharmacotherapy (PROMPT), an advocacy group in favor of safe opioid prescribing as well as a member of several other professional organizations. He also serves a section editor for Pain Medicine and the editorial board for Practical Pain Management. Dr. Fudin was named a 2010 Next-Generation Pharmacist Lifetime Achievement honoree. TPC is proud to recognize Jeffrey Fudin, PharmD as a TPC Hero for the month of March 2015. We look forward to his continued work improving the lives of people who live with pain by improving the education of pharmacists, other healthcare professionals and key decision makers. For the month of February 2015, TPC would like to recognize the outstanding efforts of a special healthcare professional: William C Ross, MD. Dr Ross is the Medical Director of the Center for Sports Medicine in Walnut Creek. He has over 30 years experience in family medicine with specialty certification in sports medicine. Notably, he treats patients with acute and chronic pain. He helps his patients build their pain care plan based on multi-disciplinary treatments and collaborates with in-house physical therapists. To name a few, he may recommend an individualized exercise program, Physical Therapy, Pilates-based Rehabilitation, and Sports Psychology along with medications and injection therapies, as needed. He has provided his medical services to care for those participating in US Olympic training, sports teams, ballet and a large cadre of people with chronic pain conditions such as the connective tissue disorder Ehlers-Danlos Syndrome. Dr. Ross shares his patient caseload with the amazing team of clinicians who practice at the Dignity Health Center for Sports Medicine in Walnut Creek. TPC is proud to recognize Dr. William C. Ross as the TPC Hero for the month of February 2015. We hope that he will find continue of find new ways to help people with pain live a quality, dignified life. Our Valentine goes to you. Dr. Ross. It is fitting to open the New Year of 2015, to honor someone who is near and dear to our hearts. TPC would like to recognize the outstanding efforts of Cindy Steinberg, a person who has lived with pain for decades and has demonstrated commitment and relentless drive to advocate for better pain care. Currently, the Policy Director for the US Pain Foundation, she started out by forming the American Chronic Pain Association New England Chapter and has served as their Coordinator since 2000. Cindy has been actively involved at the state policy level as the Legislative Chair of the Massachusetts Pain Initiative (MassPI) and works with other states as a State Pain Policy Advocacy Network (SPPAN) Advisory Council member. She was selected as a Mayday Pain & Society Fellow for 2013-2014–a media and policy initiative which trains healthcare professionals, advocates and legal scholars in the pain management community to more effectively communicate their work and raise awareness of and improve the treatment of acute and chronic pain. Her past endeavors are laudable. Cindy is a past Steering Committee member for The Pain Community (TPC) during its infancy from June 2012-Mar 2013; she was a contributing member of a pain advocate think tank (Pain Care Leadership Council) and she volunteered tirelessly for the American Pain Foundation (APF) as an Action Network Leader, Pain Care Advocacy Council (PCAC) Co-Chair Sept 2008-2012 and a member of the Board of Directors for two years until its closure. TPC is proud to recognize Cindy Steinberg as a TPC Hero for the month of January 2015. We look forward to her continued influence and success as she is certainly the “little engine that could”. As 2014 comes to a close, we wish to show our appreciation for the strength and inspiration demonstrated from one of our dearest members. Angela Barnhart Scott is a person disabled by pain for decades who most recently faced a cancer diagnosis, tumor removal surgery on October 1st and follow up cancer treatment. Throughout this major event in her life, she shows us her female moxie and just how to maintain a fighting spirit, keep humor around her and remain compassionate for others along the way. She also locked horns with the great nicotine demon and kicked it to the curb—Bravo! TPC is proud to recognize Angela Barnhart Scott as our TPC Hero for December 2014. November is the month we honor of veterans and give thanks. TPC has chosen to do the same by highlighting the contributions of the VA-DOD Pain Management Working Group. Together, they worked tirelessly to improve the management of pain in military and civilian medicine as well as guide research and policy regarding pain and its treatment which is showcased on their website. The task force’s 2010 final report contains 109 recommendations for a holistic, multidisciplinary and multimodal pain management strategy that utilizes state of the art/science modalities and technologies to address acute and chronic pain of soldiers and other patients. Additionally, they redesigned and tested a new pain assessment tool named the Defense and Veterans Pain Rating Scale (DVPRS) that measures pain intensity along with impact on activity. TPC is proud to recognize VA-DOD Pain Management Working Group as our TPC Hero for November 2014. Collaborating to reduce preventable harm from medications is core to the work of the FDA Safe Use Initiative. It is their mission to create and facilitate public and private collaborations within the healthcare community to do this work. They help identify specific, preventable medication risks as well as create, implement and evaluate cross-sector interventions with partners who are committed to safe medication use. This federal team has skillfully worked with stakeholders to create an educationally-based, non-punitive patient-provider opioid agreement that is undergoing field testing and set to be released to the public soon. TPC is proud to be a part of this project and pleased to recognize the FDA Safe Use Initiative as our TPC Hero for the month of October 2014. This is our second annual tribute for September Pain Awareness Month. The Pain Community (TPC) will highlight one of our unsung heroes every week this month. These are individuals or groups who have made a significant and positive difference for all who live with pain. In honor of the final week of Pain Awareness Month, TPC has chosen as TPC Heroes three journalists who have gotten it right. They are Seattle Times Journalists: Carol Ostrom, Mike Berens, Ken Armstrong. TPC has not forgotten their stellar 2011 investigative reporting about living with pain in Washington State and how state government regulations on medical practice were impeding access to appropriate care. They successfully exposed the role that the prescribing of Methadone as a first line pain medication played in the rise of opioid overdose. In doing so, they influenced a change in regulations to remove Methadone as a first line medication of choice and deservedly were awarded a 2012 Pulitzer Prize for their quality work. TPC is proud to recognize Carol Ostrom, Mike Berens, Ken Armstrong as TPC Heroes. In honor of the third week of Pain Awareness Month, TPC has chosen Chris Pasero MSN, RN as one of our TPC Heroes. Chris Pasero is a premier pain nurse champion and one of the founders of the American Society of Pain Management Nurses (ASPMN) in 1991 (which was renamed American Society for Pain Management Nursing in 2004) and was the first elected president in 1992. She is an avid pain educator and consultant who coaches other clinicians and health care facilities on how to improve pain care practices and raise standards of care. She co-authored one of the reference texts considered the “bible” to appropriate pain care for nurses and other clinicians: PAIN: Clinical Manual; Pain Assessment and Pharmacological Management. TPC is proud to recognize Chris Pasero as a TPC Hero. In honor of the second week of Pain Awareness Month, TPC has chosen Lynn Webster MD as one of our TPC Heroes. Dr. Webster is the Immediate Past President of American Academy of Pain Medicine, pain expert, researcher and avid pain advocate. He is the vice president of Scientific Affairs for PRA Health Sciences, a leading clinical research organization that operates in more than 80 countries. Dr. Webster also serves on the National Institutes of Health National Pain Strategy Working Group. TPC is proud to recognize Dr. Webster as a TPC Hero. To commence the celebration during the first week of Pain Awareness Month, TPC has chosen Paul Christo MD as one of our TPC Heroes. Dr. Christo is a leading pain physician experts and former Director of the Blaustein Pain Treatment Center and the Multidisciplinary Pain Fellowship Training Program at The Johns Hopkins Medical Institute. He is best known as the host of Aches and Gains, the first talk show on pain and pain relief that airs every Saturday morning from 5-6pm ET on Sirius XM Radio- Family Talk 131. Topics for discussion have a broad range of topics and guests. TPC is proud to be one of Aches and Gains supporters. TPC is proud to recognize Dr. Christo as a TPC Hero. August has arrived, the last summer month. Though many may choose to take vacation and try to wind down for even a short spell—it seems like the ongoing barrage of attacks on those living with pain never eases, even for the slightest respite. There are some glimmers of promise and hope, however. As we anticipate the upcoming release of the National Pain Strategy from the National Institute of Health (HIH), it is fitting to honor a laudable piece of work that should serve as one its pillars. TPC wishes to honor a landmark report that calls for a cultural transformation of how our society provides relief for people living with pain in America. This document shows the way. Relieving Pain in America: A Blueprint for Transforming Prevention, Care, Education, and Research was released in 2011 by the Institute of Medicine (IOM). This is the first federal document that exposes the existing weaknesses that interferes with effective pain care in the U.S. As we know, pain is a major driver for medical office visits and hospital care, a major cause of disability, and a key factor that disrupts quality of life and productivity. Given the burden of pain on human lives, dollars, and social consequences, one would think that relieving pain would be a national priority. Woefully, it is not. The IOM report argues this point with key recommendations needed to address this oversight. TPC is proud to recognize the Institute of Medicine’s Blueprint on Relieving Pain in America as TPC’s Hero for the month of August 2014. We look forward to reviewing the update on the impact of this report which is expected sometime in 2015. We are long overdue for some good news. After celebrating Independence Day 2014, TPC has chosen to celebrate the liberating efforts of a pain advocate, who has dedicated her 25+ year nursing career to promote excellence in pain management education for clinicians and their patients. Her focus has remained on one goal–make a difference and advocate for people living with pain so they may receive quality and effective professional care. TPC has chosen Marsha Stanton RN, PhD, who while in clinical practice, association leader and within the medical education and public policy divisions of various pharmaceutical companies has positively inspired some of the most influential pain leaders in our field. She has traveled across the U.S. and internationally to persuade and guide others to treat pain appropriately and effectively. She has remained steadfast and forthright while reminding key stakeholders and decision makers about the needs and wants of people living with pain—-ease of pain, return of function and a quality of life worth living. TPC is proud to recognize Marsha Stanton RN, PhD as a TPC Hero for the month of July 2014. Spring is coming to a close and the promise of green grass, bright flowers and warm temperatures of summer approach. No matter the season, the outstanding efforts of pain advocates throughout this nation continue to inspire and bring us hope. It is fitting that we honor in the month of June 2014, an organization that continues to make it possible for great work in the field of pain to continue. TPC has chosen The MayDay Fund that has been providing continued financial support since 1992 to help others improve the delivery of pain care. It has remained true to its mission to alleviate the incidence, degree and consequence of human physical pain. MayDay answers the cry for help by those in pain by offering grants for the education of health care professionals, clinical outreach to diverse communities, research and policy fellowships to some of the best talents in the field of pain & palliative care. If it were not for the insight, generosity and entrepreneurial spirit of MayDay, many creative programs, projects or initiatives would not get off the ground that improve so many lives of those in pain. TPC is proud to recognize the The MayDay Fund as a TPC Hero. May brings us Mother’s Day, spring flowers and the birth of hope. It is fitting that TPC recognizes the outstanding efforts of a pain advocate, who is considered by many as the mother of pain management nursing. This is a person has inspired us with her scholarly work and tireless education of health care professionals in order to make a difference for people living with pain no matter the cause. TPC has chosen Margo McCaffery RN, PhD, a nurse champion and pioneer of the field of pain management nursing. Margo was the first to publish a patient-centered definition of pain. “Pain is whatever the experiencing person says it is, existing whenever and wherever the person say it does”. This description has become the prevailing concept of pain and its treatment by clinicians over the past few decades. Her contributions have been impressive. As a sampling, McCaffery co-authored with Alexandra Beebe, RN, MS, one of the first key resources: PAIN: Clinical Manual which was used as a primary clinical guide for nurses and other clinicians after its publication in 1989 and later with the 1999 second edition with Chris Pasero RN, MSN. Released in 2010, she co-authored with Pasero the publication, Pain Assessment and Pharmacological Management, which is yet another invaluable clinical tool. Margo McCaffery has been an instrumental contributor to the development and revision of important position papers for the American Society of Pain Management Nursing (ASPMN) on topics such as Placebo Use and Management of Pain Patients with Addictive Disease. TPC is proud to recognize Margo McCaffery RN, PhD as a TPC Hero for the month of May 2014. April is finally here and it is the time of renewal. TPC wishes to honor an organization that provides hope and the chance for many to renew their lives. The Patient Advocate Foundation provides the much needed aid and navigation support for those struggling to afford the heavy burden of their pain care costs as they do for other chronic health conditions, like cancer. They have helped others solve insurance problems and access to health care services for close to twenty years. TPC is proud to recognize the Patient Advocate Foundation (PAF) as a TPC Hero for the month of April 2014. Rumor has it that spring is finally approaching so as a breath of fresh air, TPC wishes to honor a very special person. Jennifer Grey, best known for her 1987 role as Baby in Dirty Dancing and winning the Fall 2010 Dancing with the Stars competition, “came out of the closet” in 2011 to share her 20 year journey with neck pain from an automobile accident in 1987. Grey is inspirational and continues to encourage others living with pain to find a series of methods to manage pain that works best for you. These methods include using daily self-management tips, healthy eating, moving and stretching while working closely with knowledgeable health care professionals— openly and honestly. Her message and her commitment to strive for wellness is one of the keys to her success; it allows her the ability to live a quality life. Each one of us living with pain (or other chronic medical conditions) can learn from her example. TPC is proud to recognize Jennifer Grey as a TPC Hero for the month of March 2014. As we approach this upcoming Valentine’s Day, TPC wishes to celebrate and honor a very dear friend, someone who has captured the hearts of many. Derek McGinnis proudly wore our nation’s Navy uniform for eleven years. He served as a corpsman, until he was medically retired after sustaining wounds from an RPG attack in Iraq. Derek sustained multiple severe injuries to include the loss of his leg above the knee, a traumatic brain injury and multiple shrapnel wounds. During his recovery, he personally experienced the military and veteran health care systems. Derek did not let his injuries and pain stop him. He fought his way back to be the father, husband, son and friend he wanted to be. McGinnis has continued to give back to others by writing his story, Exit Wounds, earning a master’s in social work and working with other injured vets. Not only is he an inspirational advocate for injured and recovering veterans, Derek inspires anyone living with pain. TPC is proud to recognize Derek McGinnis as a TPC Hero for the month of February 2014. It is fitting to open the New Year of 2014, to honor someone who is near and dear to our hearts. TPC would like to recognize the outstanding efforts of Jerry Mathers (better known as The Beaver). Infamous as a child actor, Mathers continues to publically inspire others who live with the pain from diabetes through social media and public awareness activities. One noteworthy contribution as a pain advocate is demonstrated by his willingness to speak out about how to live a full life with diabetes and share his personal journey. He served as host for the American Academy of Neurology (AAN) patient education video and guidebook, Diabetic Nerve Pain: A Guide for Patients and Families, aimed to help answer important questions for people with nerve pain from diabetes. Both versions were released in May 2011 and are free. TPC is proud to recognize Jerry Mathers as a TPC Hero for the month of January 2014. 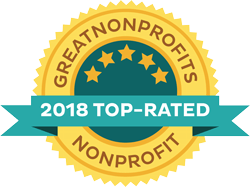 As the year comes to a close and the holiday season is underway, TPC would like to recognize the outstanding efforts of another pain advocate. This is a person has inspired us with her contributions to making a difference for people living with pain. TPC has chosen Judi Fouladbakhsh RN, PhD. Judy is a newly tenured associate professor at Wayne State University and a Complementary & Alternative Medicine (CAM) researcher, who has contributed to understanding the positive effect on pain relief and overall well-being with other chronic diseases, such as cancer when CAM therapies, such as yoga, therapeutic touch, music therapy, humor and aromatherapy are in use. Dr. Fouladbakhsh, developed a Complementary Therapies in Healthcare certification program with the College of Nursing–which is the first of its kind. This program, started in March 2013, trains healthcare professionals to integrate CAM healing therapies with conventional Western medicine which promotes a holistic approach to patient-centered care. TPC is proud to recognize Judy Fouladbakhsh RN, PhD as a TPC Hero for the month of December 2013. Though September Pain Awareness Month 2013 has come to a close, the outstanding efforts of pain advocates throughout this nation have not. We are thankful that they inspire us daily. It is fitting that we honor this entity and the individuals who work for it during November. TPC has chosen National Pain Report, which has provided a collection of thought-provoking and balanced exposés and news articles centered on the challenges of living with pain and its treatment. Pat Anson, National Pain Report’s editor-in-chief, and Daniel Bennett, MD, chief medical editor, have done an excellent job ensuring that columnists Beth Darnell, Mark Maginn, Joy Selak, Carol J. Levy, Amanda Siebe and Arlene Grau continue to expose critical, pertinent and often sensitive issues that affect the lives of those living with pain. These editors and reporters continue to uncover both the challenges and promises in pain care, public attitude and pain policy development. TPC is proud to recognize the National Pain Report as a TPC Hero. TPC has chosen Jannie White as one of our TPC heroes. Living with the pain of Complex Regional Pain Syndrome (CPRS) does not stop her. Jannie is a Pain Advocate Supreme from the state of Michigan and most recently recognize by Healthier Black Elders Center for her tireless efforts to educate elected officials about pain issues. She was instrumental in influencing Michigan legislators to pass a bill (P.A. 6782006) that requires the establishment of a workgroup to develop and coordinate education programs to promote public awareness on the causes of CRPS along with an emphasis of its early detection, diagnosis, and treatment. Jannie is avid in her outreach to others during community events, with the founding and leading of a local pain support group and her wiliness to speak with the media about living and thriving with pain. TPC is proud to recognize Ms. White as a TPC Hero. What better way to honor September Pain Awareness Month than celebrate those who have made a significant and positive difference for all who live with pain. Every week in September 2013, The Pain Community (TPC) will highlight one of our unsung heroes. We will continue to do this every month thereafter. To honor the fourth and final week of Pain Awareness Month, TPC has chosen Robert (Bob) Twillman PhD, FAPM as one of our TPC Heroes. Bob has served as the Director of Policy and Advocacy for the American Academy of Pain Management (the Academy) since October 2010 and responsible for developing advocacy network and policy initiatives for members of the largest professional organization for pain management professionals in the United States. This September 2013, Bob was promoted to the role of Deputy Director of the Academy. Twillman also serves as the chair for the Kansas Prescription Monitoring Program Advisory Committee and as a Clinical Associate Professor of Psychiatry for the University of Kansas Hospital where he specializes in psycho-oncology, pain management and general behavioral medicine. TPC considers him a pain policy advocate extraordinaire and is proud to recognize Dr. Twillman as a TPC Hero. To honor the third week of Pain Awareness Month, TPC has chosen April Vallerand RN, PhD as one of our TPC Heroes. April is an expert in pain research and pharmacolgy, a passionate educator and consummate pain advocate. Her research work has focused on recognizing and reducing pain-related disparities (e.g. gender, race and culture) as well as improving and maintaining functional status in persons living with chronic pain through appropriate pain care. Vallerand was recently appointed the status of full professor at Wayne State University (WSU) and named the inaugural holder of the WSU School of Nursing Alumni Endowed Professorship. She has been a treasured and active member of the American Society for Pain Management Nursing for over 20 years. TPC is proud to recognize Dr. Vallerand as a TPC Hero. To honor the second week of Pain Awareness Month, TPC has chosen Stewart B. Leavitt, MA, PhD as one of our TPC Heroes. Stew is the founder and major contributor to Pain Treatment Topics, where he shares ongoing information about pain and its treatment. His regular updates provide clear explanations of how recently published research findings and policy news are often misinterpreted and inaccurately communicated by others. Our first hero is Judy Foreman. Judy is well-known to the field of journalism. She is a seasoned journalist with vast experience in writing about health care while exposing issues around aging, chronic disease and wellness. She is one of the few journalists’ in the U.S who covers pain with balance, facts, and respect for the person living with pain. Her next book is scheduled for release in early 2014, A Nation in Pain. TPC is proud to name Judy Foreman as our inaugural TPC Hero.